EX. GNR. LAXMANRAM POONIA (DEAD) THROUGH LRS. Vs. UNION OF INDIA AND ORS. Petitioner: EX. GNR. LAXMANRAM POONIA (DEAD) THROUGH LRS. J U D G M E N T R. BANUMATHI J. 2. The facts relevant for disposal of this appeal are as follows:- The appellant was enrolled in the Indian Army on 14.09.2005. His basic military training was convened at Army Air Defence Centre Nasik Road Camp, commencing from 16.09.2005 and after completion of training, he was posted at 27 AD Regiment for further service. It is the case of the appellant that on the eve of Diwali Festival in November, 2007, he was overburdened with work due to scarcity of staff. Due to continuous restless duty hours for several days, he suffered hypertension resulting in lack of sleep and hunger. Ultimately, he requested the Commanding Officer of his Unit to sanction him leave considering his critical condition. However, instead of granting leave, the Commanding Officer got him admitted in 174 Military Hospital on 11.11.2007, acknowledging the critical condition of the appellant. The Doctor diagnosed the appellant to be suffering from acute schizophrenia like psychotic disorder. The appellant was discharged from 174 Military Hospital on 14.03.2008. Thereafter, he was shifted to Military Hospital Chandimandir and was admitted to psychiatric ward on 28.08.2008. He was subjected to a Military Board held at 174 Military Hospital for his recategorisation. After some time, he was granted sick leave for a few days. However, he was again admitted to 174 Military Hospital on 15.02.2009, and was also subjected to a Medical Board and thereafter, he was discharged from the hospital and was sent to his Unit. 3. As per the appellant, he was again entrusted with hard duty on 02.05.2009 and was also compelled to work at night hours, because of which the disease so detected again aggravated. Ultimately, he had to be admitted to Command Hospital Chandimandir on 05.05.2009, from where he got discharged on 12.06.2009. He was again admitted to Command Hospital Chandimandir on 10.07.2009, from where he was discharged on 06.10.2009. He was brought before a duly constituted Invaliding Medical Board on 09.09.2009 to assess the cause and degree of disablement. The Invaliding Medical Board opined that he was suffering from ‘acute Schizophrenia like psychotic disorder’. Medical Board further opined that the disability being constitutional in nature is not connected with Military Service. His disability was assessed at 60% for life but was viewed as neither attributable to nor aggravated by Military Service. Ultimately, he was invalided out of service with effect from 07.10.2009 under Rule 13(3)(iii) of the Army Rules, 1954. His claim for grant of disability pension was forwarded to the Principal Controller of Defence Accounts (Pension) Allahabad, which was rejected vide order dated 02.07.2010 on the ground that the disability suffered by the applicant is neither attributable to nor aggravated by Military Service. 4. The appellant challenged the order dated 02.07.2010 by filing an application before the Tribunal seeking disability pension. The Tribunal dismissed the application filed by the appellant holding that the disability being ‘constitutional’ in nature is not connected with Military Service. His disability was assessed at 60% for life; but was viewed as neither attributable to nor aggravated by Military Service. The Tribunal specifically held that though the Invaliding Medical Board categorically opined that he was suffering from ‘Acute Schizophrenia like psychotic disorder’, the disability of the applicant being constitutional in nature cannot be considered to be connected with Military Service. 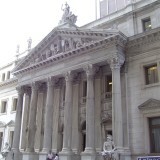 Thus, holding that there was no casual connection between disablement and the Military Service for attributability or aggravation to be conceded, the Tribunal dismissed the application. 6. Learned counsel for the appellant submitted that the Tribunal was not justified in dismissing the application filed by the appellant ignoring the settled position of law that if the disability for which a personnel was invalided out of service was not there at the time of recruitment, as per the decision in Dharamvir Singh v. Union of India and Ors. (2013) 7 SCC 316, then it must be presumed that the disability occurred due to Military Service. The counsel contended that relying solely on the opinion of Medical Board, it could not have been said that the disability was neither attributable to nor aggravated by the Military Service. Drawing our attention to Rule 14 of the Entitlement Rules for Casualty Pensionary Awards, 1982, the appellant contended that the Tribunal ought to have held that Laxman Ram Poonia developed Schizophrenia due to Military Service and the conditions for awarding disability pension are satisfied and Tribunal should have awarded the disability pension. 7. Learned Additional Solicitor General contended that the opinion of the Medical Board that the disease is held neither attributable to nor aggravated by Military Service is unimpeachable so far, and thus, the appellant was rightly denied disability pension. It was further contended that psychiatric disorder of the person cannot be detected by the Medical Board conducting medical examination at the time of enrollment in service, in the absence of previous history or overt manifestation and it was on the appellant to specifically prove that he was not suffering from ‘Acute Schizophrenia like psychotic disorder’ at the time of his enrollment, which he failed to so. The Additional Solicitor General contended that application filed by the appellant seeking disability pension was rightly dismissed by the Tribunal and no reason warranting interference. 9. When the appellant was enrolled in the Indian Army on 14.09.2005, nothing was recorded in his service record that he was suffering from any disease or disability. Likewise, during the entire period of training and while he was performing his service at 27 AD Regiment till 2007, there was no sign of any abnormal behaviour or disability. For the first time, in or about 2007, the appellant is alleged to have shown his agitated behaviour. It is the case of the respondent that on the expiry of his sick leave on 11.12.2008, the appellant was admitted to Command Hospital (Western Command) Chandimandir where he was downgraded to medical category S3(T-24) H1A1P1E1 for six months with effect from 13.03.2008. The appellant was again admitted to the Military Hospital on 10.02.2009 for review of his medical category where his medical categorization was upgraded to S2 (T-24) HIAIPIEI with effect from 11.02.2009 and was discharged from the hospital on 18.02.2009. The appellant was again admitted to the Command Hospital Chandimandir on 05.05.2009 and he was finally discharged from the service on 26.06.2009. Considering appellant’s disability and percentage of disability, as assessed by the Medical Board, the respondents found it apposite to invalidate appellant’s service under the provisions of Rule 13(3)(iii) of the Army Rules, 1954. 10. The point falling for consideration is whether the schizophrenia like psychotic disorder disability of the appellant Laxman Ram Poonia was attributable or aggravated due to Military Service and whether the appellant is entitled to disability pension. 11. Regulation 173 of Pension Regulations for the Army, 1961 specifically deals with the primary conditions for the grant of disability pension. It reads as under:- “173. Primary conditions for the grant of disability pension.”Unless otherwise specifically provided a disability pension consisting of service element and disability element may be granted to an individual who is invalided out of service on account of a disability which is attributable to or aggravated by military service in non-battle casualty and is assessed at 20% or over. By a bare perusal of the aforesaid Regulation, it is clear that disability pension in normal course is granted to an individual: (i) who is invalided out of service on account of a disability which is attributable to or aggravated by Military Service, and (ii) who is assessed at 20% or over disability, unless specifically provided otherwise. (a) A member is presumed to have been in sound physical and mental condition upon entering service except as to physical disabilities noted or recorded at the time of entrance. From Rule 5 we find that a general presumption is to be drawn that a member is presumed to have been in sound physical and mental condition upon entering service except as to physical disabilities noted or recorded at the time of entrance. If a person is discharged from service on medical ground for deterioration in his health it is to be presumed that the deterioration in the health has taken place due to service. 14. After referring to the above amended Rules 14(a), 14(b), 14(c) and 14(d) of Entitlement Rules for Casualty Pensionary Awards, 1982, in Dharamvir Singh v. Union of India and Ors. (2013) 7 SCC 316, this Court clarified the law on the point in the following words:- “21.1. As per Rule 14(a) we notice that for acceptance of a disease as attributable to military service, conditions are to be satisfied that the disease has been arisen during the military service, and caused by the conditions of employment in military service which is similar to Rule 14(c) of the printed version as relied on by the appellant. Rule 14(b) cited by the respondents is also similar to the published Rule 14. “423. (a) For the purpose of determining whether the cause of a disability or death resulting from disease is or is not attributable to service, it is immaterial whether the cause giving rise to the disability or death occurred in an area declared to be a field service/active service area or under normal peace conditions. It is however, essential to establish whether the disability or death bore a causal connection with the service conditions. All evidence both direct and circumstantial will be taken into account and benefit of reasonable doubt, if any, will be given to the individual. The evidence to be accepted as reasonable doubt for the purpose of these instructions should be of a degree of cogency, which though not reaching certainty, nevertheless carries a high degree of probability. In this connection, it will be remembered that proof beyond reasonable doubt does not mean proof beyond a shadow of doubt. If the evidence is so strong against an individual as to leave only a remote possibility in his/her favour, which can be dismissed with the sentence ‘of course it is possible but not in the least probable’ the case is proved beyond reasonable doubt. If on the other hand, the evidence be so evenly balanced as to render impracticable a determinate conclusion one way or the other, then the case would be one in which the benefit of the doubt could be given more liberally to the individual, in cases occurring in field service/active service areas. * * * (c) The cause of a disability or death resulting from a disease will be regarded as attributable to service when it is established that the disease arose during service and the conditions and circumstances of duty in the Armed Forces determined and contributed to the onset of the disease. Cases, in which it is established that service conditions did not determine or contribute to the onset of the disease but influenced the subsequent course of the disease, will be regarded as aggravated by the service. A disease which has led to an individual’s discharge or death will ordinarily be deemed to have arisen in service if no note of it was made at the time of the individual’s acceptance for service in the Armed Forces. However, if medical opinion holds, for reasons to be stated that the disease could not have been detected on medical examination prior to acceptance for service, the disease will not be deemed to have arisen during service. 24.2. A disease which has led to an individual’s discharge or death will ordinarily be treated to have been arisen in service, if no note of it was made at the time of the individual’s acceptance for service in the Armed Forces. 29.5. If no note of any disability or disease was made at the time of individual’s acceptance for military service, a disease which has led to an individual’s discharge or death will be deemed to have arisen in service [Rule 14(b)]. 17. The law laid down in Dharamvir (supra) was re-affirmed in Union of India and Anr. v. Rajbir Singh (2015) 12 SCC 264, where this Court observed that the legal position laid down in Dharamvir Singh’s case is in tune with the Pension Regulations, the Entitlement Rules and Guidelines issued to the Medical Officers. Relevant excerpt from the said judgment is contained in paras (14) and (15), which read as under:- “14. The legal position as stated in Dharamvir Singh case (2013) 7 SCC 316 is, in our opinion, in tune with the Pension Regulations, the Entitlement Rules and the Guidelines issued to the Medical Officers. The essence of the rules, as seen earlier, is that a member of the armed forces is presumed to be in sound physical and mental condition at the time of his entry into service if there is no note or record to the contrary made at the time of such entry. More importantly, in the event of his subsequent discharge from service on medical ground, any deterioration in his health is presumed to be due to military service. This necessarily implies that no sooner a member of the force is discharged on medical ground his entitlement to claim disability pension will arise unless of course the employer is in a position to rebut the presumption that the disability which he suffered was neither attributable to nor aggravated by military service. 2. Opinion of assessment by the Board is recommendatory in nature and is subject to acceptance by Pension Sanctioning Authority. Or 1. Individual is not entitled for disability pension for the disability/disabilities since the same is/are not attributable to/aggravated by service. Notably, the Medical Board has not given any reason in support of its opinion, particularly, in reference to the fact that there was no note of such disease or disability available in the service record of the appellant at the time of entering Military Service. 20. There is no gainsaying that the opinion of the Medical Board, which is an expert body has to be given due weight and credence. But the opinion of the Medical Board cannot be read in isolation; it has to be read in consonance with the Entitlement Rules for Casualty Pensionary Awards, 1982 and General Rules of Guide to Medical Officers (Military Pensions) 1982. As per Chapter II of the Guide to Medical Officers (Military Pensions), 2002, which relates to “Entitlement: General Principles”, it is made clear that the Medical Board should examine cases in the light of the etiology of the particular disease and only after considering all the relevant particulars of a case, the board should record its conclusions with reasons so as to enable the Pension Sanctioning Authority to examine the question of entitlement of pension as per Rules. 21. As referred to above, in Dharamvir Singh’s case, it was observed that it is mandatory for the Medical Board to follow the guidelines laid down in Chapter II of the General Rules of Guide to Medical Officers (Military Pensions), 2002 ? “Entitlement: General Principles”, relevant extract in this behalf reads as under:- “27. Para 7 talks of evidentiary value attached to the record of a member’s condition at the commencement of service e.g. pre-enrolment history of an injury, or disease like epilepsy, mental disorder, etc. Further, guidelines have been laid down at Paras 8 and 9, as quoted below: “7. Evidentiary value is attached to the record of a member’s condition at the commencement of service, and such record has, therefore, to be accepted unless any different conclusion has been reached due to the inaccuracy of the record in a particular case or otherwise. Accordingly, if the disease leading to member’s invalidation out of service or death while in service, was not noted in a medical report at the commencement of service, the inference would be that the disease arose during the period of member’s Military Service. It may be that the inaccuracy or incompleteness of service record on entry in service was due to a non-disclosure of the essential facts by the member e.g. pre-enrolment history of an injury or disease like epilepsy, mental disorder, etc. It may also be that owing to latency or obscurity of the symptoms, a disability escaped detection on enrolment. Such lack of recognition may affect the medical categorisation of the member on enrolment and/or cause him to perform duties harmful to his condition. Again, there may occasionally be direct evidence of the contraction of a disability, otherwise than by service. In all such cases, though the disease cannot be considered to have been caused by service, the question of aggravation by subsequent service conditions will need examination. The following are some of the diseases which ordinarily escape detection on enrolment: (a) Certain congenital abnormalities which are latent and only discoverable on full investigations e.g. Congenital Defect of Spine, Spina bifida, Sacralisation, (b) Certain familial and hereditary diseases e.g. Haemophilia, Congential Syphilis, Haemoglobinopathy. (c) Certain diseases of the heart and blood vessels e.g. Coronary Atherosclerosis, Rheumatic Fever. (d) Diseases which may be undetectable by physical examination on enrolment, unless adequate history is given at the time by the member e.g. Gastric and Duodenal Ulcers, Epilepsy, Mental Disorders, HIV Infections. (e) Relapsing forms of mental disorders which have intervals of normality. (f) Diseases which have periodic attacks e.g. Bronchial Asthma, Epilepsy, Csom, etc. 8. The question whether the invalidation or death of a member has resulted from service conditions, has to be judged in the light of the record of the member’s condition on enrolment as noted in service documents and of all other available evidence both direct and indirect. In addition to any documentary evidence relative to the member’s condition to entering the service and during service, the member must be carefully and closely questioned on the circumstances which led to the advent of his disease, the duration, the family history, his pre-service history, etc. so that all evidence in support or against the claim is elucidated. Presidents of Medical Boards should make this their personal responsibility and ensure that opinions on attributability, aggravation or otherwise are supported by cogent reasons; the approving authority should also be satisfied that this question has been dealt with in such a way as to leave no reasonable doubt. In the absence of any evidence on record to show that the appellant was suffering from any such disease like schizophrenia at the time of entering into the Military Service, it will be presumed that the appellant was in a sound mental condition at the time of entering into the Military Service and the deterioration of health has taken place due to Military Service. 23. Based on the above discussion, we hold that the Tribunal did not examine the case at hand in the light of the Army Pension Regulations, 1961, the Entitlement Rules for Casualty Pensionary Awards, 1982 and General Rules of Guide to Medical Officers (Military Pensions) 2002 and, therefore, the impugned order cannot be sustained. 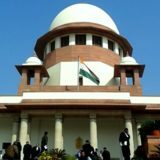 Applying the principles of Dharamvir Singh’s case and Rajbir Singh’s case, it has to be presumed that the disability of the appellant bore a casual connection with the service conditions. The appellant was diagnosed to be suffering from medical disability at 60% for life on 09.09.2009 and he was discharged from service on 7.10.2009. After invalidation from the service, the appellant passed away on 01.06.2015. By order dated 13.02.2017 in I.A. No. 3/2016, the legal heirs have been ordered to be substituted. Hence wife of the appellant and other legal heirs shall be entitled to disability pension as per the Rules. 24. In the result, the impugned order is set aside and the appeal is allowed. The respondents are directed to pay the disability pension to the wife and other substituted legal heirs of Laxmanram Poonia as per the Rules and the same shall be complied within eight weeks from today. No costs. Tags: CIVIL APPEAL NO. 2633 OF 2017DIPAK MISRA R. BANUMATHIEX. GNR. LAXMANRAM POONIA (DEAD) THROUGH LRS.Union of India and Ors.